Did you know Outlook will Spell Check your email before it goes out, even if you forget? It will! Do you like the Reading Pane but don’t like items automatically marked “Read”? 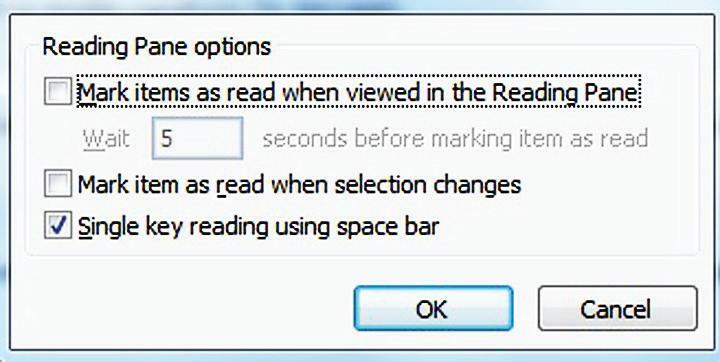 You can have your Reading Pane and see your unread flags! 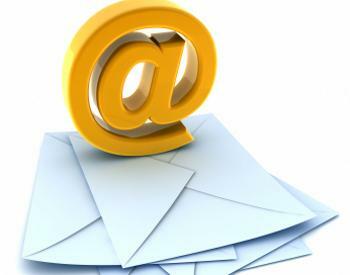 Don’t like those Desktop Alerts that display every time you receive a new email? Turn them off. In Office 2007, these begin in Tools, Options. In 2010, it’s the File tab (Backstage View) and a click on Options. It’s always embarrassing to make a typo in an important email. While Spell Check isn’t perfect and it won’t necessarily catch all problems (right spelling, wrong word), it is insurance against obvious misspellings and some difficult-to-spell names. In Office 2007, after clicking on Tools, Options, click the Spelling tab. In 2010, after clicking File, Options, click the Mail category (on the left) and then check the “Always check spelling before sending” box. If those pop-up email notices that appear on the bottom of your screen annoy you, here’s a solution. In 2007, after Tools, Options, select the Preferences tab, then click the E-mail Options button, and then the Advanced E-mail Options button. In a section called, “When new items arrive in my Inbox,” uncheck the box that says Display a New Mail Desktop alert. 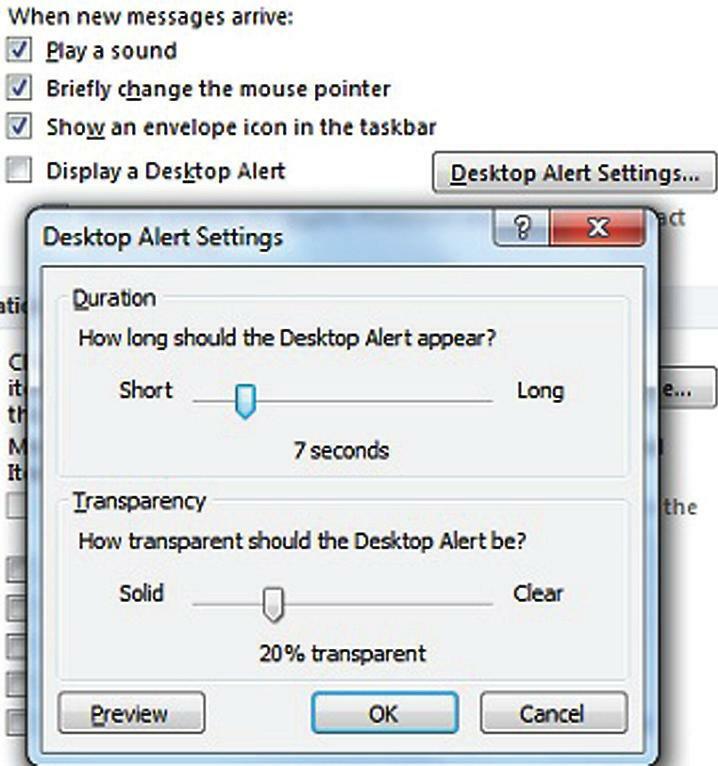 If you like the alerts, but want to change their appearance or duration, click the Desktop Alert Settings … button. You can find these options in 2010 in the Message arrival section after clicking on File, Options and the Mail category.